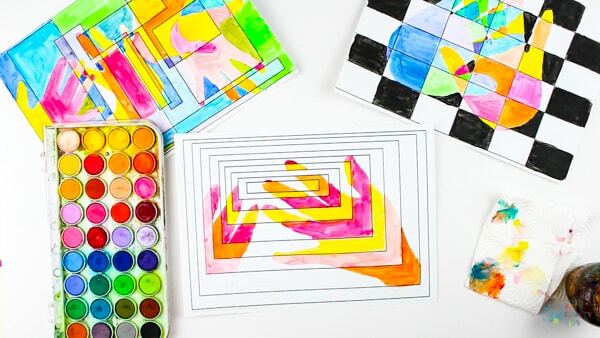 This super Cool Handprint Art project not only looks great, it’s also perfect for teaching and practicing the basic principles of colour-mixing. The focus of this particular project is to create warm and cool hues out of primary colours. 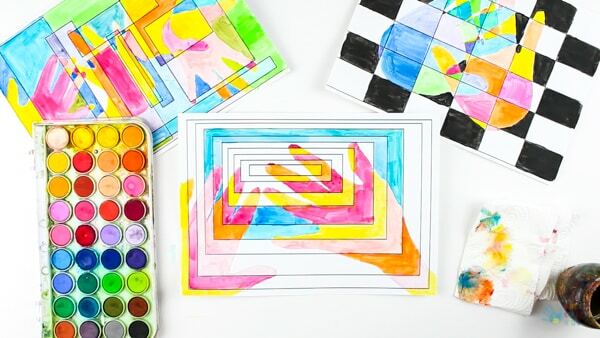 Arty Crafty Kids are encouraged to experiment and play with colour through trial and error while creating an eye-popping piece of art that’s destined for the wall! 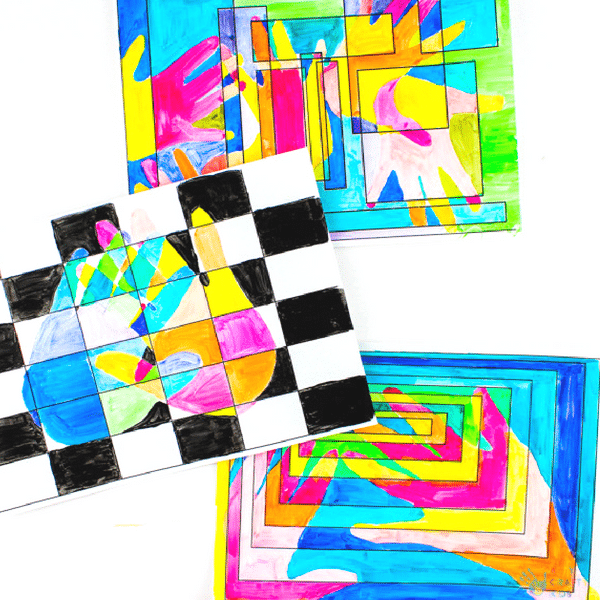 With three templates available, Arty Crafty Kids have the opportunity to make this project their own. Enjoy a FREE Cool Handprint Art template when you sign up for our Arty Crafty newsletter (the sign-up form can be found towards the end of this post) OR join our online Arty Crafty Members area to access all three templates AND the full library of Art & Craft Templates, How to Draw Guides, Colouring Pages, Animal Outlines, Drawing Prompts, Downloadable Arty Crafty Box Artspiration and instruction booklets and much more! Join the club to get a 10 Day free trial! Basic Colour Chart throughout the process of Cool Handprint Art. 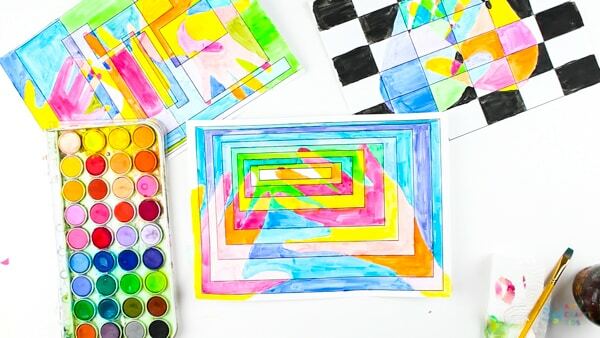 This particular art project offers Arty Crafty Kids with an opportunity to explore and experiment with colour-mixing; mixing beyond the secondary colours to create various shades of their favourite colours! Step 1: Download a template of your choice (the sign-up form can be found towards the end of this post) and print. Using a pencil, ask your Arty Crafty Kids to draw around their hand as many times as they like. Create clear single prints or layer, forming crisscrossing hands. To make the most of this colour-mixing opportunity, I would recommend offering your Arty Crafty Kids just Red, Yellow and Blue paint, with White and Black. 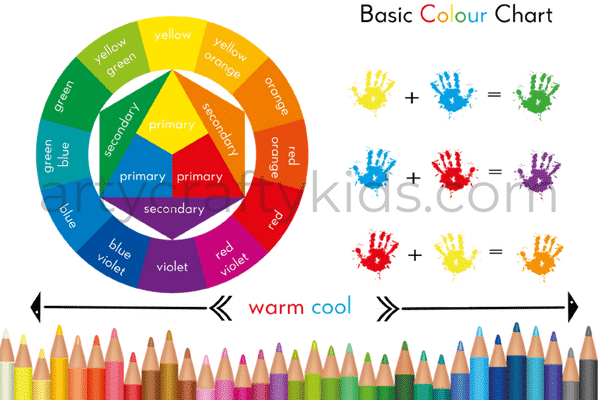 Using the colour reference chart, ask your Arty Crafty Kids to play with the colours. To explore the contrast of warm and cool tones, we focussed on the hands as warm and the background as cool. Mixing Red and Yellow, begin creating the first warm or cool tones. Step 3: Following both the handprint lines and segmentation of the template, handprint will begin to pop from the page. Continue colour-mixing and painting until the handprints are complete and then add contrasting hues of blue and green to the background. Step 4: Continue colour-mixing and experimenting until the paper is filled with beautiful colours. How many new colours can your Arty Crafty Kids make? Step 5: As well as creating an amazing piece of handprint art, your Arty Crafty Kids will be mentally measuring quantities of paint to create their desired tones and assessing the cause and effect of their choices. How much red and yellow do they need to mix to create orange? Can they create the same shade twice? What happens when black or white is added to a primary colour? Your Arty Crafty Kids will naturally work through these questions as they progress through the art project, which in my opinion, is where the real creative magic happens. Their artistic choices will be based on the findings of their creative experiments and with every mix, every stroke of the paintbrush, they will learn something new. 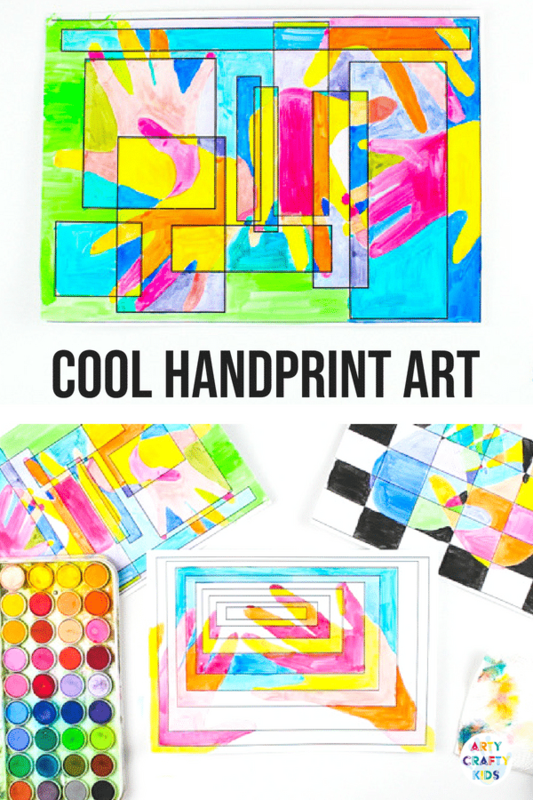 Sign-up here to access the Free Handprint Art Template! 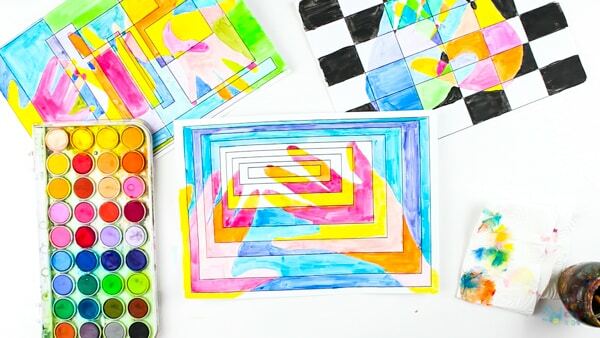 To access the template, sign up to our Arty Crafty Kids Club newsletter, and we’ll also keep you posted about other crafts, free templates and offers for the Arty Crafty Box! 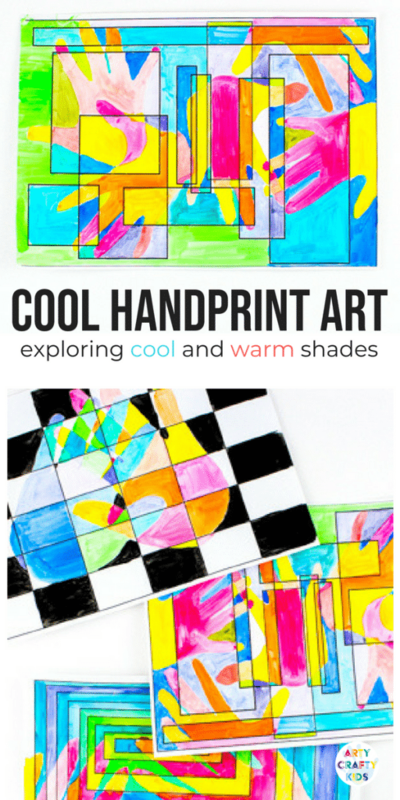 I hope your Arty Crafty Kids enjoy this Cool Handprint Art project! For more cool Art Projects to try with the Arty Crafty Kids, take a look at our popular Yarn Art concept, Bubble Wrap Printing technique and the rather messy, fun Bleeding Crepe Paper Art! 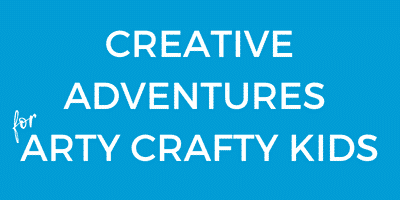 Did you know that Arty Crafty Kids now has a monthly Art and Craft subscription box, where every box is a creative adventure for kids? Take a peek inside our boxes and when you order, get 50% off the first box by using 50FIRSTBOX at checkout! 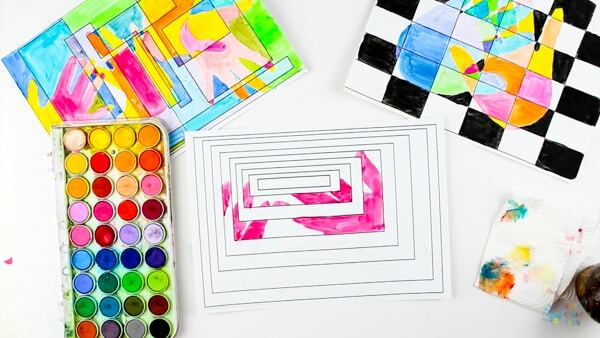 The Arty Crafty Box is packed with creative, playful and engaging art and craft projects for kids, complete with all the necessary materials and easy to follow instructions. 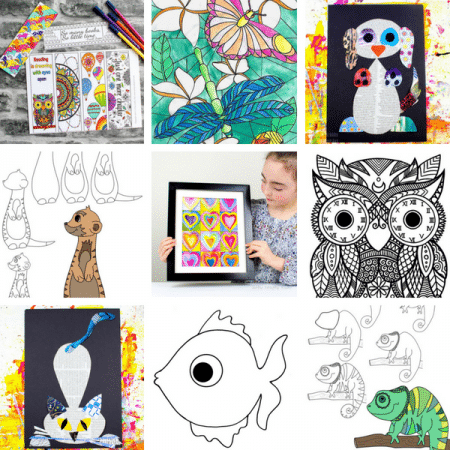 In addition to this, every box includes an Artspiration booklet that’s filled with how-to-draw tutorials and drawing prompts to enhance your Arty Crafty Kids creativity and FREE access to our online members’ area that contains exclusive art and craft templates, colouring pages and more!